DEADLINE EXCLUSIVE – Gemma Arterton (Quantum of Solace), Sam Claflin (The Hunger Games: Mockingjay) and Bill Nighy (The Second Best Marigold Hotel) are set to star in Their Finest Hour and a Half, with Lone Scherfig (An Education) directing. BBC Films developed and co-finances the film, which is being produced by Oscar-nominated producers Number 9 Films and Wildgaze Films, led by Stephen Woolley (Made in Dagenham) and Amanda Posey (Brooklyn). 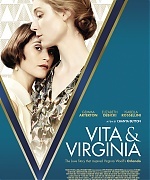 Gaby Chiappe has adapted Lissa Evans’s 2009 novel set in early 1940’s World War II London. A romantic comedy imbued with the screwball repartee of classic Hollywood of the time (think a Brit His Girl Friday), Their Finest Hour and a Half is a battle of the sexes that follows the misadventures of a British movie crew trying to make a patriotic film to boost morale during the Blitz. BBC Films’ Christine Langan and Ed Wethered will exec-produce. HanWay, still hot off the headline-making $9 million Sundance sale of Brooklyn to Fox Searchlight, have boarded worldwide sales rights. “Gaby Chiappe’s skilful adaptation of Lissa Evans’s brilliantly comic and moving wartime novel is a stunning film debut,” commented BBC Films’ head Christine Langan. “Their Finest Hour and a Half is a funny and touching romance with a great female lead role that is entertaining and emotional in equal measure,” added Hanway managing director Thorsten Schumacher. “She Who Brings Gifts” is the story of Melanie, a girl who is full of questions about the world. Every morning, Melanie waits in her cell to be collected for class. When they come for her, Sergeant Parks keeps his gun pointing at her while two of his people strap her into the wheelchair. She thinks they don’t like her. She jokes that she won’t bite. But they don’t laugh. Melanie is a very special girl. The film is due to shoot in the U.K. May 2015 and is produced by Camille Gatin, co-producer of James Marsh’s “Shadow Dancer” and Ricky Gervais’ “Special Correspondents,” co-starring Eric Bana, and Angus Lamont, producer of the Berlin Competition jury award-winning “’71,” directed by Yann Demange. The feature has been developed with the support of the BFI Film Fund. 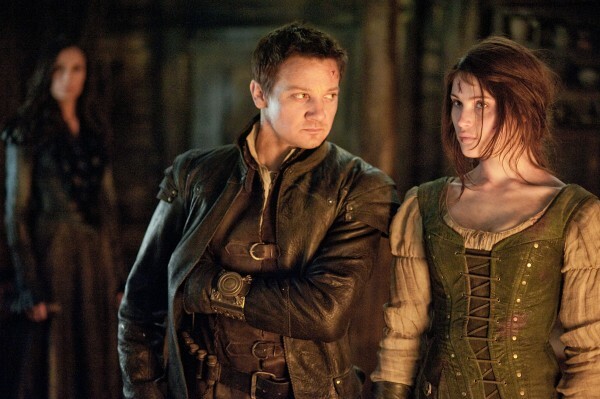 When we first heard that a sequel to the 2013 movie Hansel and Gretel: Witch Hunters was being written, we were a little unsure as to the reason for it, as we honestly felt that the movie was average at best. However, Hansel and Gretel: Witch Hunters managed to gross an impressive $226m worldwide, making it quite the financial success and worthy of a sequel. So, it was down to Tommy Wirkola, the writer and director of the first movie, to come up with a script for Hansel and Gretel 2 and he has now confirmed that he has completed the script and handed it over to Paramount. It is now down to the studio to give the movie the green light, while the schedule of Gemma Arterton and Jeremy Renner will also need to be taken into account. Gaumont has inked a raft of major pre-sales on Anne Fontaine’s “Gemma Bovery,” a romantic comedy with Gemma Arterton, ahead of its world premiere at Toronto. Gaumont has pre-sold the film, a playful twist on Gustave Flaubert’s classic novel “Madame Bovary,” to Germany (Prokino), Benelux (Victory), Italy (Officine Ubu), Brazil (Mares Filmes), Scandinavia (Atlantic), Canada (Metropole), Middle East (Four Star), CIS (Exponenta), Greece (Odeon), Switzerland (Pathe) and South Korea (Sejong). Arterton stars as a passionate young British woman who moves with her husband to a provincial Norman town where she meets a quirky, yet charming French baker. Arterton plays opposite French star Fabrice Luchini, one of Gaul’s rare bankable actors. “Gemma” was penned by Fontaine and Pascal Bonitzer, based on a graphic novel by Posy Simmonds, the author of “Tamara Drewe,” which was adapted to the bigscreen by Stephen Frears and also toplined Arterton. Pic was produced by Mathieu Tarot at Albertine Productions, Philippe Carcassonne at Cine@ and co-produced by Gaumont, which also handles French distribution. The illustrious Sunday Night At The Palladium, one of the UK’s best loved entertainment shows, will be returning this autumn to ITV for a prime-time six part series. Some of the UK’s best-loved comics and entertainers will host one show each and introduce some of the biggest stars from music and comedy onto one of the world’s most famous stages. There will also be jaw dropping specialty acts from around the world plus surprise guests. Hosts lined up include actor, comedian and presenter ROB BRYDON, award-winning actor and comic JACK WHITEHALL, presenter and stand-up JIMMY CARR and entertainer, actor and presenter BRADLEY WALSH. Global superstars Neil Diamond, Art Garfunkel, Bryan Adams, and Maroon 5, plus disco legends Earth, Wind and Fire are all lined up to perform plus Little Mix, Nicole Scherzinger and The Script, plus stand-up comedy from the likes of Alan Davies, Sarah Millican and Milton Jones with music from some of the West End’s best-loved shows and a sneak preview of the new musical Made In Dagenham starring film actress Gemma Arterton. The 2,200 strong audience inside the Palladium will also be featured and there will be huge surprises for the most unsuspecting audience members who will compete to win some incredible prizes. Sunday Night At The Palladium was commissioned by Director of Entertainment and Comedy Elaine Bedell, ITV and Commissioning Editor, Entertainment Peter Davey, ITV and executive produced by ITV Studios’ Lee Connolly and Fiona Clark. Thanks to Chuckie for the heads-up. Ex-Bond Girl Gemma Arterton’s latest film role in Gemma Bovery requires her to speak fluent French. And having mastered the language of love, she is now in a relationship with French film director Franklin Ohanessian. The pair made their public debut at Wimbledon on Saturday after a lunch hosted by Jacob’s Creek wine. A besotted Gemma, 28, who is separated from her husband Italian fashion consultant Stefano Catelli, conversed with her beau in his native tongue. Ohanessian is an assistant director of Gemma Bovery. Who says you can’t mix business with pleasure?